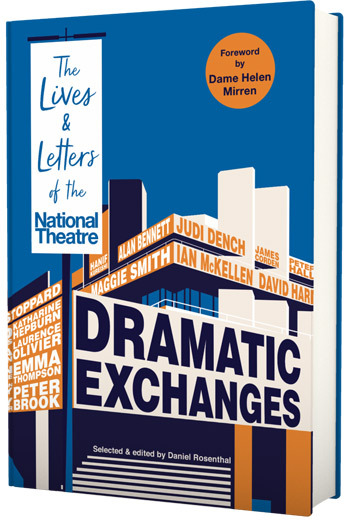 For the past two years, I’ve been researching and editing correspondence between actors, directors, playwrights and theatregoers related to the National Theatre for a book. I’ve studied more than 12,000 letters, cards and emails stored in public collections and the private holdings of leading practitioners, including Richard Eyre  and Michael Frayn . The final selection of 800 items spans the NT’s production history from Hamlet in 1963 to JT Rogers’ Oslo  two years ago, which, Ryan Craig suggested in an email to Rogers, is so good that “[as] I was reading it in a crowded cafe I was occasionally slamming the table shouting ‘Yes! Yes!’ Like some insane, bookish, bald Meg Ryan”. 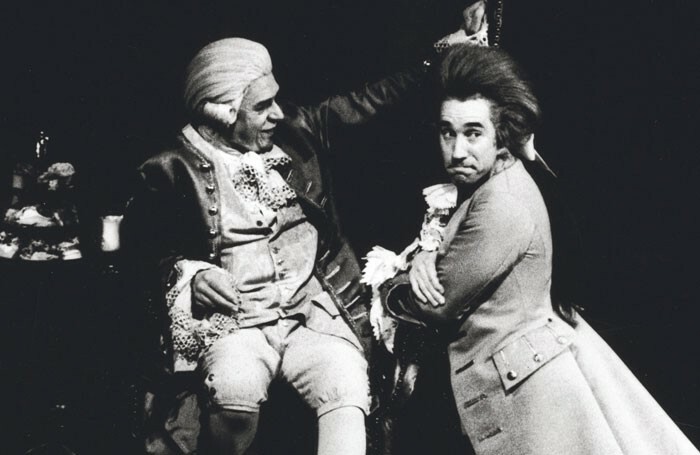 And here is Paul Scofield to Peter Hall in 1979, after his first reading of Amadeus : “I’ve just got to play [Salieri]. 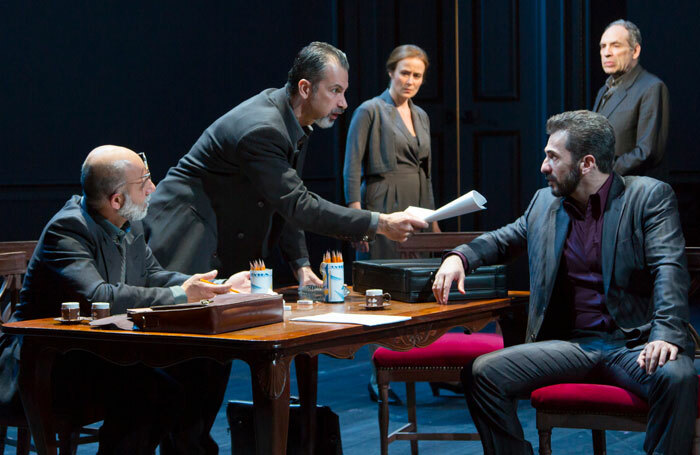 I find the play quite breathtaking and very alarming.” In the Olivier that November, Scofield triumphed as Salieri in Hall’s production. Atkins’ and Scofield’s handwritten letters have the unmediated candour that typifies the best theatrical correspondence. Both were writing long before mobile phones, email and the myriad apps that have revolutionised how we communicate, with informal brevity increasingly the norm. If a young actor today gave Rufus Norris  as thorough an explanation of why they were turning down a leading role at the NT as Atkins gave Olivier, whether via email, WhatsApp, or by putting pen to headed notepaper, and their missive went into a publicly accessible archive, GDPR, with its restrictions on ‘biographical information’ and ‘character traits’, might preclude a bona fide researcher reading it. And for historians, access to documentation is everything. Asking practitioners to talk about shows years after the event can yield wonderful insights, but recollections of a fraught first night can only be a diluted paraphrase of emotions set down on paper – or touch-screen – the morning after. If you wish to tell the story of theatrical work as accurately and vividly as possible, nothing beats original documentation. I was therefore fortunate to have mined outstanding collections such as the NT Archive, housed at the Studio, and the Harry Ransom Center in Austin, Texas, home to the papers of David Hare , Tom Stoppard  and many others. Both organisations are determined to store electronic communications as effectively as hard copy-only material from previous centuries. The HRC has a full-time staff member dedicated to ‘born digital’ archives, which Eric Colleary, its curator of theatre and performing arts, describes as “material that doesn’t have a physical counterpart. We have systems in place for ensuring these files [will] continue to be accessible [to researchers] as software and hardware become obsolete”. The NT is not the only UK theatre to keep comprehensive records. Some do so in partnership: the University of Leeds houses the archive of Leeds Playhouse ; the Shakespeare Birthplace Trust holds the Royal Shakespeare Company  collection. But what of venues where ‘archive’ means filing cabinets sporadically tended by a marketing officer, and where, as cuts bite, safeguarding past productions is, understandably, a low priority? Lee recommends that theatres yet to adopt records management policies approach the Association of Performing Arts Collections, which “can provide insight into the value of archival collections and [their uses] within the theatre setting and beyond”. Financial support is available from the Heritage Lottery Fund and the National Archives’ Archives Revealed programme. Correspondence held by individuals, rather than institutions, proved equally important to my research. Equipped with a letter of endorsement from Rufus Norris, I invited dozens of practitioners to share their files. Michael Frayn, Patrick Marber  and Simon Stephens  were among those to have retained copious correspondence files, which, with generosity and trust, they let me read – knowing their written approval would be required before private exchanges could be published. Another British dramatist, not alone in having discarded correspondence covering her work at the NT and elsewhere, scoffed at the “arrogance” of those who thought such material would be “interesting to others”. I could not have disagreed more. Correspondence offers a uniquely illuminating record of theatre practice because the myriad decisions that shape a stage production are mostly taken by phone or face-to-face, in meetings and rehearsals, over coffee or drinks. Letters and emails written after, say, a first preview, not only evoke long-lost discussions in the NT canteen – they demonstrate how people feel compelled to write when matters of principle or taste need clearer, lengthier articulation than is possible in conversation. So I will conclude with a plea to the practitioners who give their all to writing, designing and staging. Next time you’re sorting through box files, or email folders, please do not throw away material that may one day help historians do justice to the story of your work. Let stage sets be ‘deaded’ after the final performance, but keep correspondence alive.